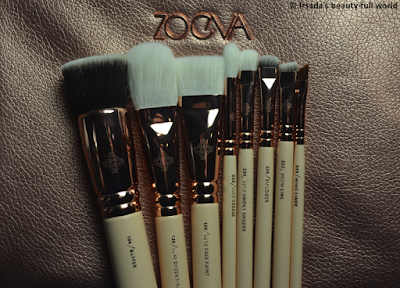 Irsada's beauty-full world: New Zoeva makeup brushes! In my last post I shared some great promo codes with you and I used one of them too. 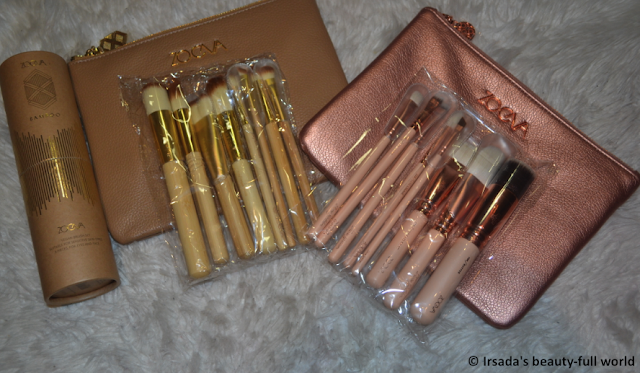 Since I had 20% off, I bought some new Zoeva brushes! Eight face and eye brushes, all vegan! They come with a brush holder and clutch. The Vol. 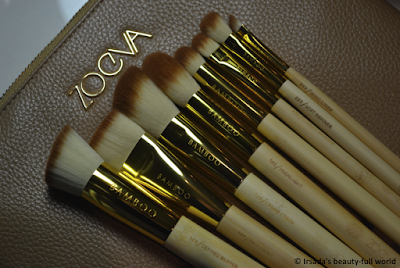 2 Set is made of three renewable materials: Soft vegan taklon hair, bamboo wooden handles and golden colored aluminum ferrules refining the eco luxe design. I had the first bamboo set and it was my very first set I bought and I loved it back then and I also love this one. It's very different from the first edition. I don't have many brushes left from that set cuz I gave some away to friends but I do have some left and they are used from time to time and it feels good to have some more. The hair feels very good on the skin, it is indeed very soft and I also love the feeling of the wooden handles. 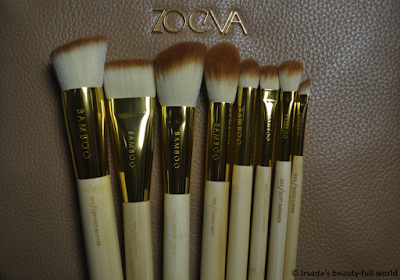 Also eight brushes, same price, same quality. Love the color of the handles, love the color of the aluminum ferrules, love the clutch that comes with it. "Feminine chic"
They are just beautiful, beautiful designed and made with a lot of love. I also love this Zoeva sign on the aluminium ferrules, they look special to me and they make me feel special. Glad to call them mine. 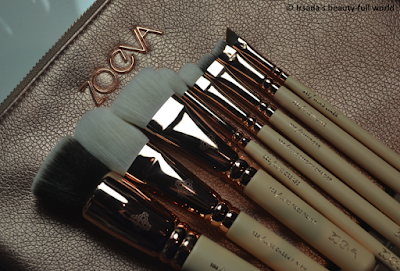 Zoeva quality brushes, great hair, easy to clean and of course the amazing princessly design. Both sets cost 65€, each. I would say the price is okay for the quality you get. You won't be disappointed with no matter wich set you choose! The clutches/packaging are a dream. You can leave a comment in English, German, French, Serbo-Croatian and Luxembourgish!